books, things I think about books, occasional excursions into territory regarding my sons, pets, work, etc. You may have noticed, what with the Sayers, Bowen, Winspear, Christie, Tey, and Upson titles I'm always reading, that you can hand me a cast of English people in the early-to-mid 1900s and I'll happily disappear into their stories. Is there anything better than a country house with mysterious goings on? Yeah, I didn't think so. 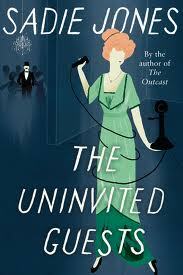 Which is why I grinned so much as I began Sadie Jones's The Uninvited Guests. The country house is of the crumbling variety, the inhabitants (mother, step-father, two children just coming into adulthood and one left to navigate childhood on her own) are individualistic and odd, and it is clear that Emerald's 20th birthday party will not go off without a hitch. Or two. Or a couple of dozen, in the form of refugees from a nearby railway accident, including one with a mysterious connection to the family. You're grinning, too, right? You want to know more? I won't tell you more, because that would spoil it, so go read it for yourself. Another grin-getter? (Not a word, I know, but I am coining a phrase here, all right?) 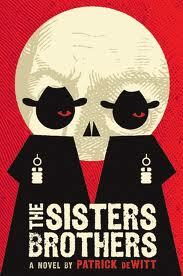 The Sisters Brothers by Patrick deWitt. In addition to having the best cover ever (though the paperback isn't so brilliant), it packs a serious punch. Like Jones, deWitt is taking a known genre (outlaw Westerns) and tickling it to fit his fancy. The brothers, Eli and Charlie Sisters, are gunslingers sent from Oregon to California in search of the man they've been hired to kill. Along the way they encounter witches, bears, whores, panhandlers, dentists, and inventors. I listened to the audio, read by John Pruden, and through him Eli's narration hits every note of comedy and pathos, while remaining as understated and almost naive as deWitt drew him. I'm left with a deep well of affection for Eli, and a lot of admiration for deWitt's subversive skills. 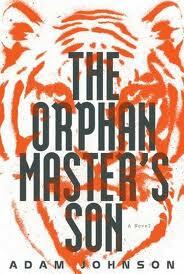 And speaking of subversive, check out Adam Johnson's The Orphan Master's Son. Unless you're going to North Korea anytime soon (you're not, are you? ), in which case you should definitely not pack this. But why go, when you can just inhabit the world Johnson creates - with a massive amount of research and imagination combined, I assume. The orphan in question, Pak Jun Do (or 'John Doe' to American ears), has one of those Forrest Gump-like careers, taking him from the orphanage's work details to kidnapping duty along Japan's beaches, from tunnels under the North-South Korean borders to Texas, of all places. And everywhere he goes, he is surrounded by the influence of the "Dear Leader." Jun Do is immensely likable and very much the kind of character you want to root for, despite all the odds against him. Johnson is quite a deft writer - closely observant, incisive, wry, and emotionally intelligent. I was particularly impressed with the fact that none of his characters were caricatures, which I almost expected given the setting. But even the Dear Leader has depth and humanity. I also loved how immediately I felt at home in Jun Do's world. Narrator Tim Kang kept the whole production rolling smoothly along, and somehow gave Jun Do the strong core of inner silence that carried the character through so many strange and often horrible experiences. When I'm not reading, I'm talking about books. And when I'm not talking about books, I'm writing books. And when I'm not writing books, I'm reading. Rather circular, but I do enjoy it. I Run a Business of Repute; I am the Mayor of This Town! Who Am I? I am Jean Valjean! Melanie Greene. Simple theme. Theme images by luoman. Powered by Blogger.